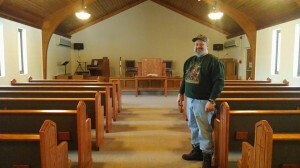 We recently installed new church pews in Belleville, Michigan’s Seventh Day Adventist Church. 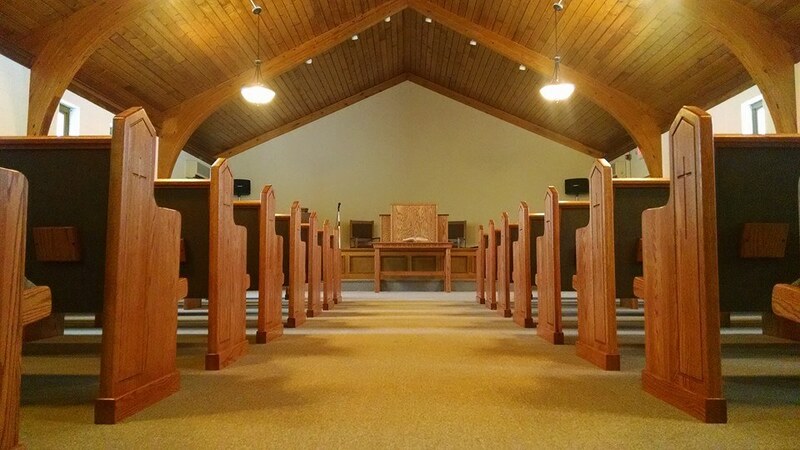 The church in Belleville chose traditional pews, and you might think you could get something similar from any church pew company. But in reality, there are big differences between our church pews in these photos and church pews might find from other church pew manufacturers. The first thing to focus on is the quality of materials you’ll find in our church pews. 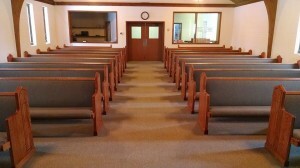 These church pews for Belleville, Michigan, are made of the same materials we use for all of our church furniture. All the wood you see on the pews is real solid wood, from the pew ends to the runners on the top of the pew backs to the end of the seat that sticks out a bit further than the church pew end. We never use veneers or skimp on our church pews with particle board covered with faux wood trim. All of our church pews are honest in how they present themselves — we don’t cut corners. The seat of the church pew is made with the highest quality plywood–the same stuff used in the floor of your home—covered with a thick layer of ergonomic foam and tough olefin fabric. You might think the quality of hidden parts won’t matter, but skimping on materials can make pews wear out faster. You don’t want that in your church. You’ll also notice details on the church pews that you might not find with other church pew companies. The woodworking you see on the side of the church pew ends can only be done properly with solid wood ends. Our church pews also come with the option to have bookshelves and donation envelope holders. You’ll notice the envelope holders on the back of these church pews are made of the same solid wood you’ll find on all the other exposed wood on these church pews. 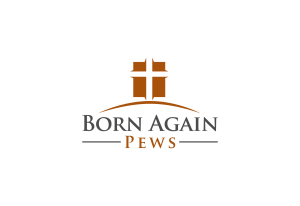 We look forward to meeting the congregations of churches we work with and we’d love to work with your church. Call us today to find out the biggest difference between our church furniture company and the rest—our customer service.